Cena: De Martes a Domingo de 17:00 - 10:30 hrs. Miércoles a Sábado: Música en vivo a partir de las 8:00pm. 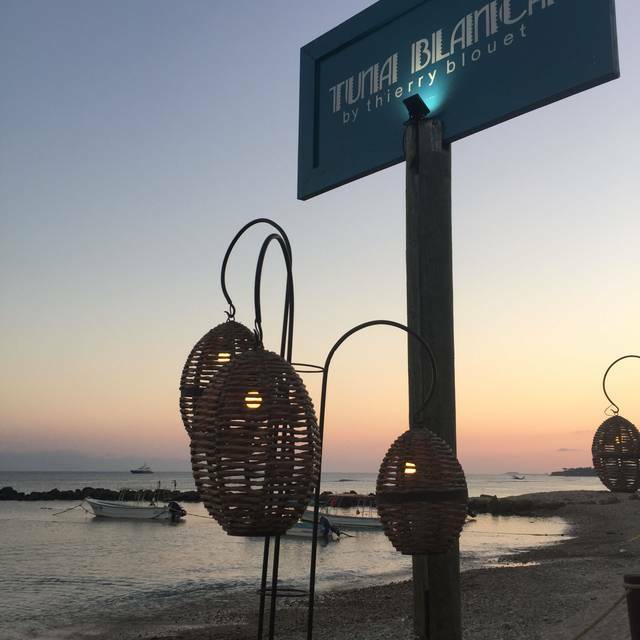 Tuna Blanca is a sophisticated restaurant by the sea in Punta de Mita, Riviera Nayarit, where you can enjoy a relaxed beach atmosphere during the day and beautiful sunsets accompanied by intimate and romantic dinners. Berros, naranja, nuez, almendra, manzana y jícama, vinagreta de miel y vinagre balsámico. Tuna tiradito with sea urchin mayonnaise, agave, lime juice, red cabbage, Sichuan chili oil with toasted peanut, avocado and "pico de gallo"
Excellent service & delicious food! Raul is the best server! A really lovely evening from start to finish. Old school elegant service with contemporary vibe and superb menu. Best destination in Punta Mita. Get the Flower Pot dessert. So yummy! 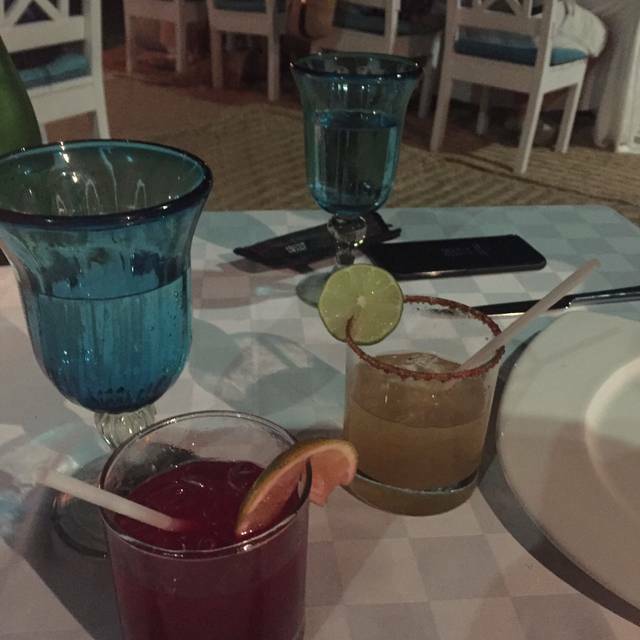 The pork tacos, pumpkin shrimp soup and the tuna tartare are my favorites. Service is always great. Excellent food and service! Loved the creative use of local ingredients in each dish. Exceptional! The service was great and the food was delicious. The Ceasar salad was the best I’ve ever had To add the hostess was adorable..we needed aloe Vera for sunburns. 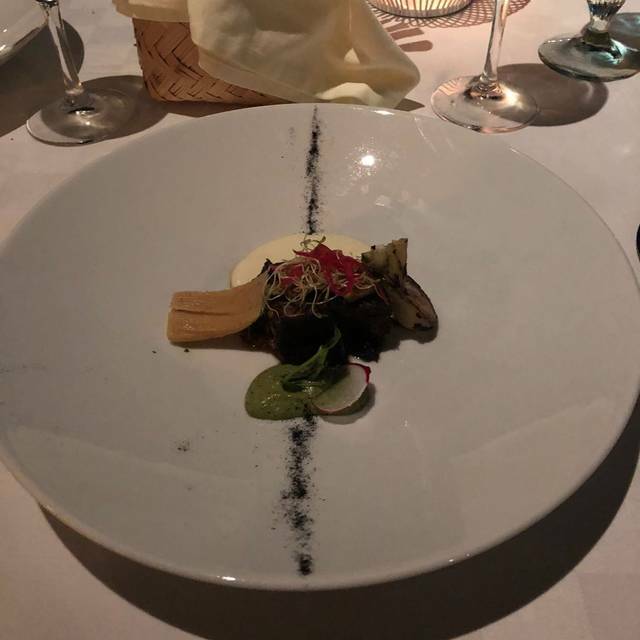 El mejor restaurante en Punta de Mita! Nos encanta el camarón Temazcal y la birria! Thins was one of the best , it not the best restaurant we have ever experienced. We recommend it to all particularly for a special occasion. Congratulations. Blouet's reputation and stature are well in tact. Great experience from beginning to end. 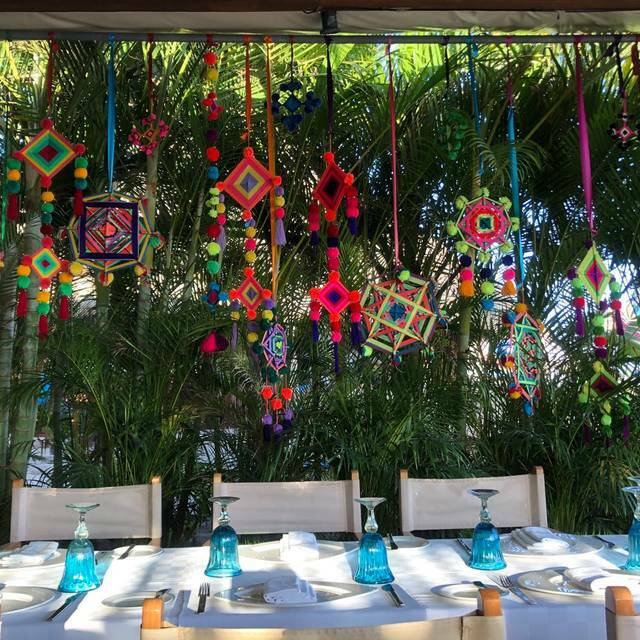 Creative menu, romantic views, subtle music and top service (Gabriel) make this a top choice in Punta de Mita. Definitely top of the charts for its area. I love Tuna Blanca and have been there a dozen times, never disappointed. However, we ate there on two holidays— Christmas and Valentine’s Day. The restaurant is overwhelmed with customers on both holidays, which must be why the service was so slow. This February, we waited two full hours for our salads. The food was good for the most part, but parts of the ribeye were too tough to cut. In December, the drinks were watery and some of our entrees were cold. We will go back, but not on a major holiday. 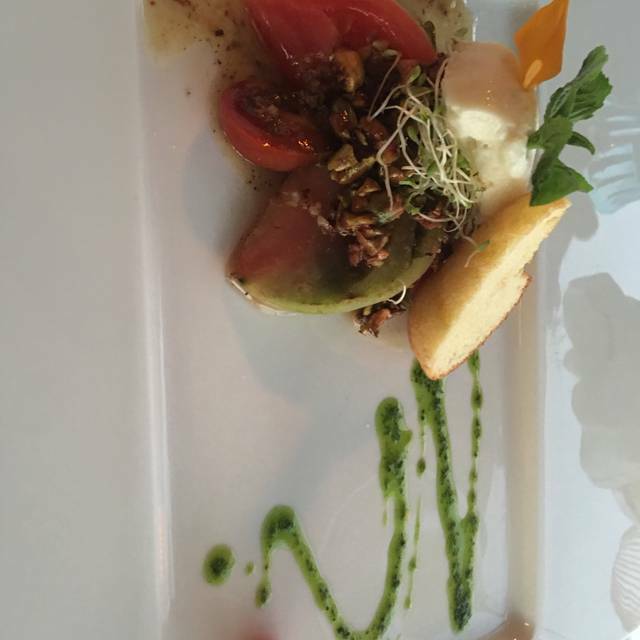 We simply had a lovely experience, great food and service, beautiful setting. Highly recommend this place and we will definitely return. 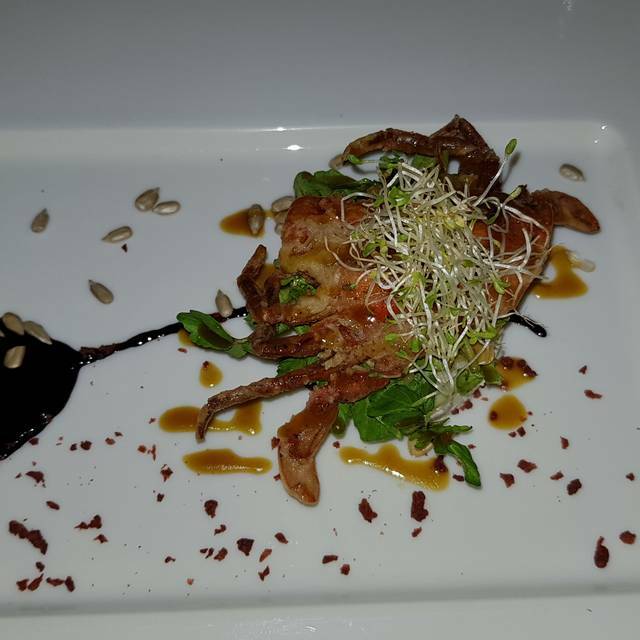 Superb food, as good as it’s sister restaurant Cafe des Artistes in Puerta Vallarta. Our waiter Gabriel was excellent as were his assistants. Food is not cheap but it is worth playing more for quality- wines are expensive though; choose carefully. One problem- the coffee took 40 minutes to arrive but , because of that , we were not charged for it. The right response from a top notch restaurant . That saved it losing a star! Awesome Location. Food French with Mexican influence. Tuna Tostadas and Malva pudding were awesome . Prawn soup ok , a basic prawn bisque flavor. Shrimp rather bland but I'm used to a Peri Peri style and this was way too simple for us. Didn't taste any chili oil in its marinade . Pocos lugares en donde encuentras EXCELENTE COMIDA, SERVICIO MARAVILLOSO Y LUGAR EXTRAORDINARIO. Realmente tuvimos una experiencia que sobre paso nuestras expectativas. Other than a lengthy wait for our check, the food and service were outstanding. Creative sauces accompany every dish. The tomato and mozzarella salad was as good as it gets. The setting on the water is very relaxing. Excellent food and service! 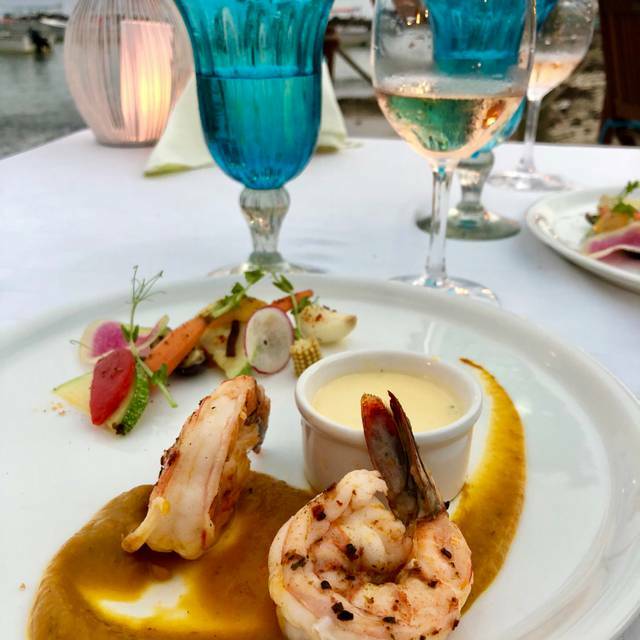 Our favorite place to dine in Punta Mita! Really special. Suckling pig taco, tuna tostada, and Caesar salad are a must. Carlos, who preps the Caesar tableside, does an amazing job. You can also tell that everyone working there loves their job, the food, and the chef. We’ll definitely be going back. Went to Tuna Blanca in April and had to return now in November. Just as awesome as before. A tremendous value but who cares about the cost, it’s the setting, service, pleasantry of the staff, the fantastic depth of flavors. You feel happy w yourself that you treated yourself to such a fine experience, bravo !! Everything about this place is over the top! The service is above and beyond and the food is just as good. I would highly recommended this restaurant to everyone and can’t wait to go back again. Excellent thanksgiving dinner at Tuna Blanca. The food was fantastic and the kids went to the kitchen to assist with the preparation of our dessert. It was a wonderful evening. Food was amazing and staff was amazing too ,they explained all about the food and chef. Estuvimos felices! Muchas gracias por todas sus finas atenciones. Beautiful setting on the water, great food and one of the best Caesar salads on the planet! 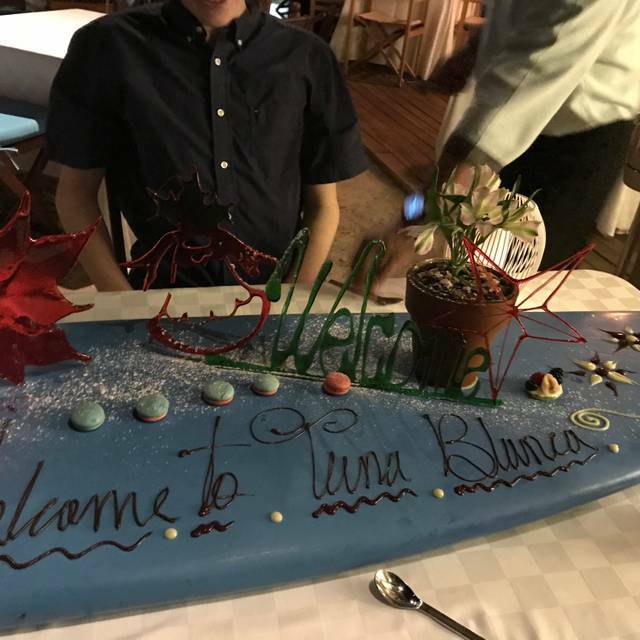 I had an amazing experience at Tuna Blanca with my fiance, Jack. 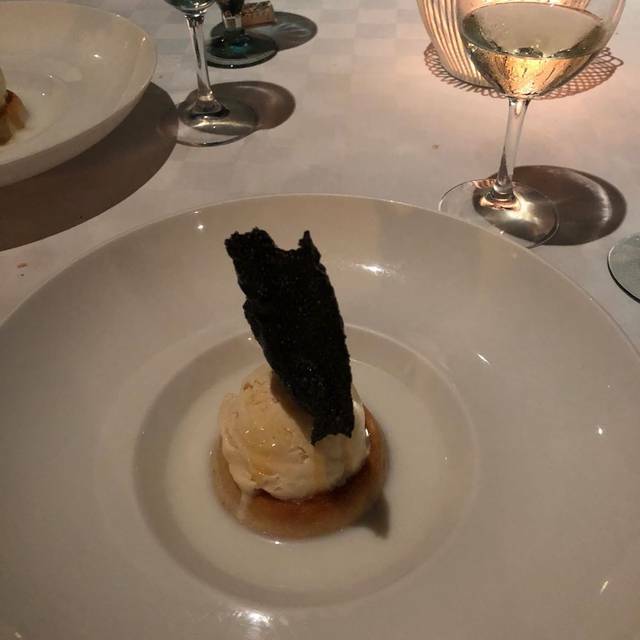 The food was incredible (particularly the tuna tostada, mushroom risotto, and octopus), but the most memorable part was the fantastic service with the kindest staff. They even brought out as a surprise, our desserts on an elaborate surfboard since we were celebrating our engagement. Shout out to our awesome waiters Francisco and Jerry. We had been to Les Artistes in PV and loved it. So excited to be at another Thierry Blouet restuarant, and to our surprise, we loved Tuna Blanca more than Les Artistes. Highly recommend for anybody staying in Punta Mita. We stayed at the Four Seasons and it was a 3 minute cab ride to town. It was much better dining experience than in the hotels! Excelent ambience, excelente food and excelent service. I tried the tasting menu and it was very well designed, presented and prepared. The wine pairing very interesting as well. great place, not much needed to substantially improve (foie gras was great but not warm enough, wine not ready for appetizer despite asked for). Great desserts. We will come again.